Her white dress, haute fashioned hand-spun dupioni and chiffon, tailored, waits in a garment bag hidden in her closet ready to hug her waist firmly, tighter than her groom ever could. White leather heels poised to lift her feet from the floor, lay together in box getting a good nights rest. On her vanity table, a veil that will cover the crown of her head sits lonely in the darkness, out of sight out of mind. She’s spent almost three decades pretending like she could run from this day, and spent the past ten months preparing for it. Now that day hides just below the morning horizon, dancing in the dark with her long-time jet-setting girl friends, hard to kick habits, and bad romances. Her past has one more night to live: a bachelorette. 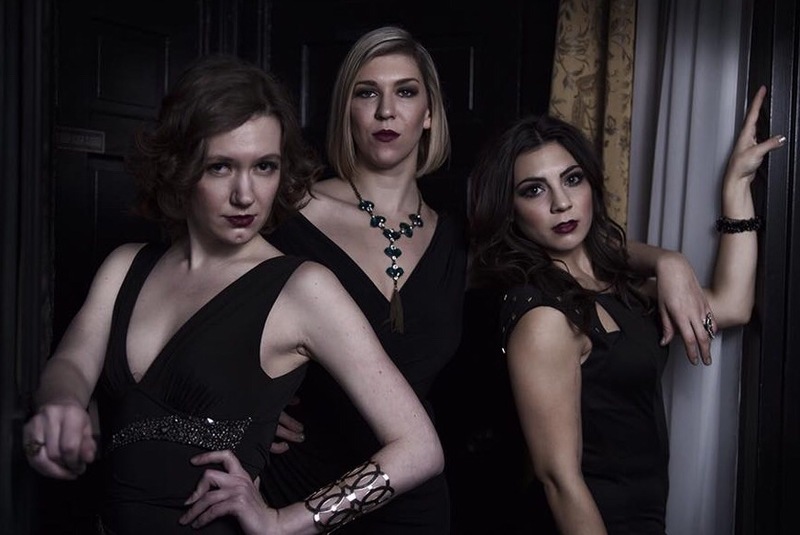 For their second show of their 2015-16 season, Theater Red teams up with Mark Boergers to bring Leslye Headland’s off-Broadway hit Bachelorette to Milwaukee for the first time. If the title sounds familiar, a movie based on the script and bearing the play’s title flickered on the big screen and missed so bad Headland fell into a regret soaked depression. Boergers‘ brings it back to its rightful stage format and the Alchemist Theatre will do the honors. 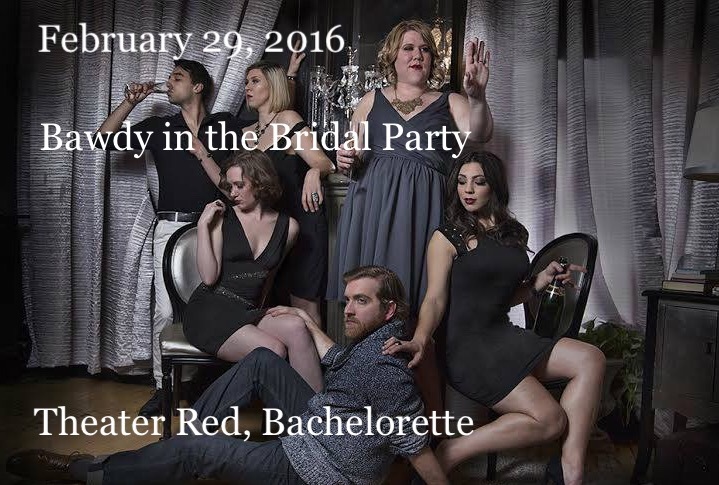 BACHELORETTE – Save the Date from Traveling Lemur Productions on Vimeo. Bachelorette will give theater goers a chance to crash Becky’s (Kelly Doherty) big party as VIPs if they like, bagging drink specials and party favors and mixing in the pre-show soiree with her girlfriends Regan (Tess Cinipinski), Gena (Liz Faraglia) and Katie (Shannon Nettershiem). Think of all those embarrassing things you wanted to do at your friend’s bachelorette party. At this show you can real-life-make-believe, putting your fear of faux pas on hold. The Alchemist Theatre willtransform into a posh New York nightclub for this production, a challenging departure from its most natural blemished skin as a 1970’s NYC rock club or desert stranded rv trailer. This isn’t your fairy tale high school sweetheart story, there are guys of questionable character on this scene too. Joe (Evan Koepnick) and Jeff (Nick Narcisi) will play or be played for these ladies’ amusement. Prepare yourself to blush, gasp, cringe and want to just “can’t”. While plenty of drama will keep your mind stirring, Bachelorette will also challenge us to think about modern society and the clash of traditional expectations of life milestones of love and marriage and the primal calls of youth, hedonism and American-style petty ambition. 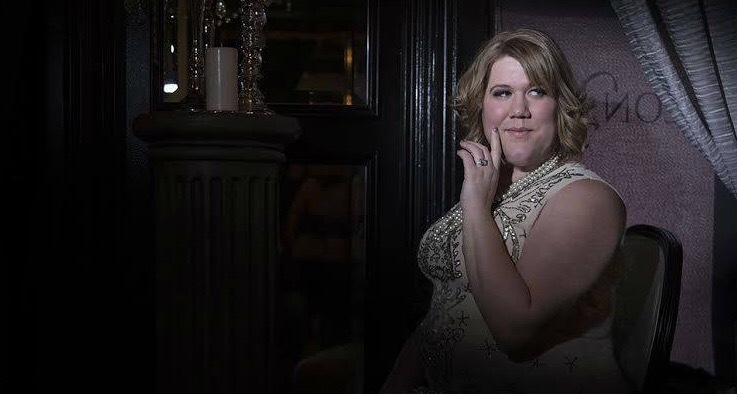 Lead by Marcee Doherty-Elst and Christopher Elst, Theater Red continues to bring women to the forefront of playbills, premiering national and original content in Milwaukee. With Bachelorette we are sure to see a talented cast of actors, pleasantly recognizable to the indie scene, redeem another talented playwright’s pen. Bachelorette will open March 3 and run Thursday, Friday, Saturday through March 19th at 8:00p, with a pay what you can performance on Monday, March 14 also at 8:00p. We can reminisce on 2015 as the “Year of the Book” in Milwaukee, among many other dubious pop distinctions no doubt. Miller Brewing, the Pfister Hotel, Milwaukee’s neighborhoods (Milwaukee: City of Neighborhoods) and even its most infamous characters (Milwaukee Mayhem) got books published in their honor. In the case of Miller, releasing a book this past September for their 168th birthday seemed kind of odd. Before the year ended, Miller announced unceremoniously that they had sold out again, this time to Budweiser’s parent; a self-fulfilling prophesy, the king of beers rightfully toasting the champagne of beers. 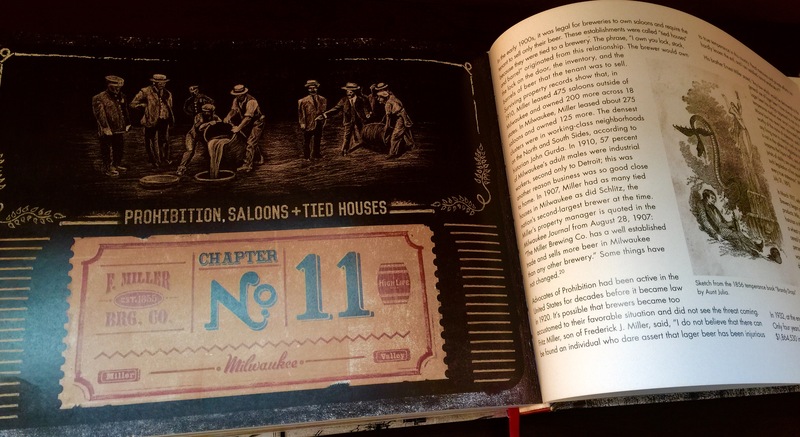 Despite that downer, Miller, Inside the High Life’s author Paul Bialas put together a rather charming and stylish urban anthropology of Miller’s place in Milwaukee’s salubrious lore. A tale of determination, indomitable American enterprising spirit, artisan craft, industrial ingenuity, superior brand aesthetic, and bushels of wonderful people, Bialas captures the stoey of all Miller’s key ingredients. His photographic narrative recieved punctuation with creative assistance from a lab collaborators including illustrators Neal, Pete and Sean Driscoll, and Yellow Design, who drew and designed original art compositions and a one-off commemorative Miller brand identity for this occasion, and editors Jessica Hermanny and Elizabeth Urban who helped shape the written content of the book. Bialas also curated songs from a scrappy group of local musicians and Miller affiliates past and present, who give the book audio accompaniment on its CD insert soundtrack. A feature from one of Milwaukee’s budding home grown favorites Mississippi Sawyer lends the Inside the High Life EP a tad of indie cred. Did you know that 170 years ago High Life had a different recipe than the present day sharply carbonated refreshing liquid gold-that somehow-tastes-better-in-the-untinted-glass-bottle-than-in-the-metallic-gold-aluminum-can High Life (mind you nothing tastes more like a summer in Milwaukee than High Life in a can) ? 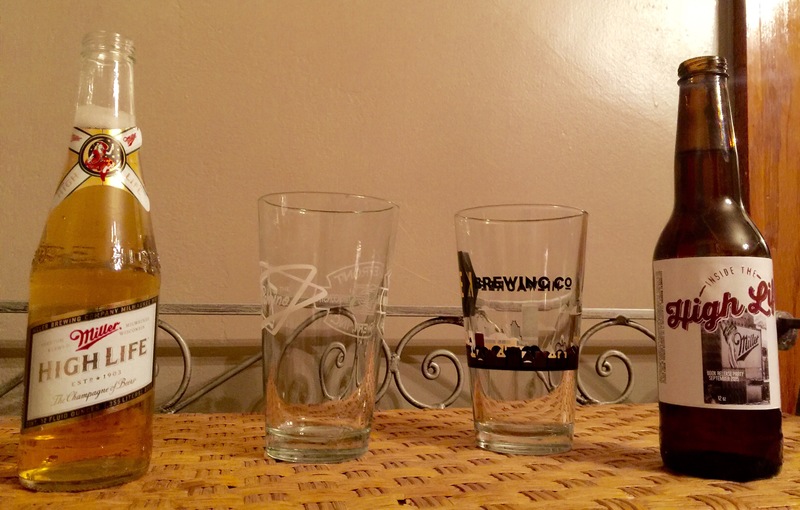 The Miller brewmeisters dusted off the original recipe books to accompany the release of Bialas’ latest work. 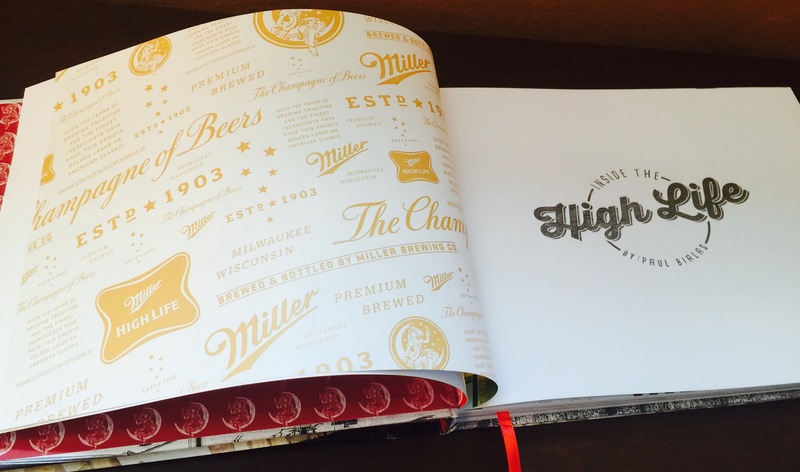 A special batch of original High Life was rolled out in the Miller Brewery cellar for the Inside the High Life book release party in September 2015. The gang that attended, recieved it like a kid getting a new flavor of pop tarts. These two bros got some years on them. Let’s start there. Its just great that someone kept track of the original recipe. You would think that a fire or an ink spill, jealous cousin, or disgruntled employee might have caused its demise before it could even make its centinnial. But no, the stock of Frederick Miller and his equally obsessive lineage didn’t allow such unfortunate mishaps. 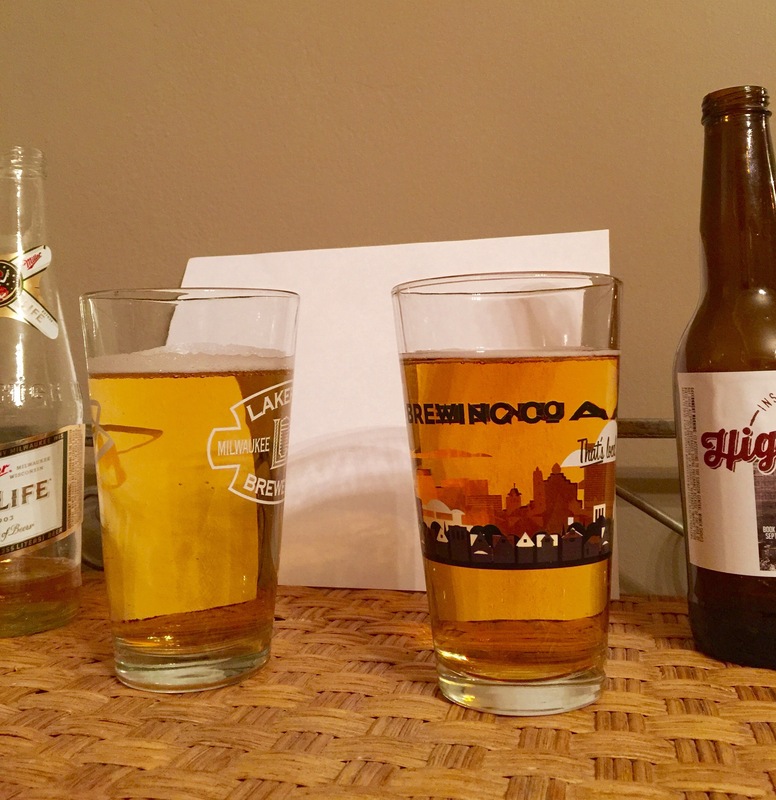 A bit maltier, old High Life’s flavor profile has a richer, nearly creamy character. It toes the line of pilsner and traditional lager closer than its younger brother, making it actually more of dinner swill than summer barbeque or pub session thirst quencher. Who knows, if Miller would have pushed this brand of High Life, Milwaukee might have become the Louisville of the Midwest, a bourbon sipping greyhound racing town rather than a charcoal grilling, remote control car racing town. 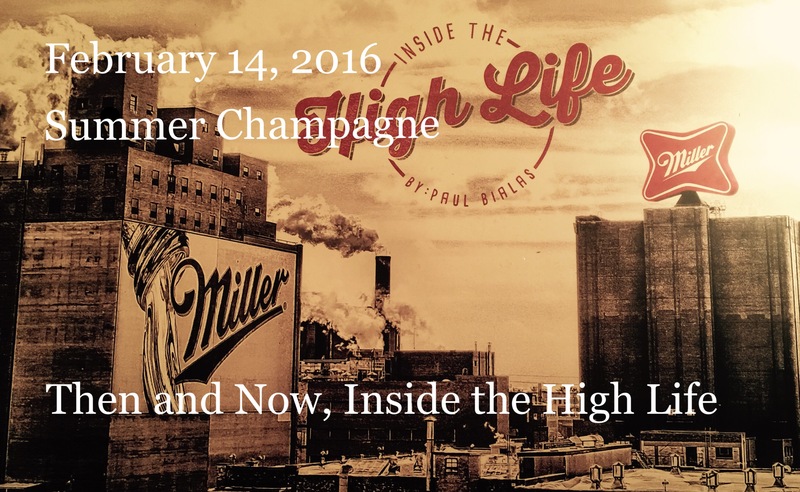 Paul Bialas’s Inside the High Life stands as his third published gem highlighting vintage Milwaukee breweries. Get a taste of his first two efforts Pabst, An Excavation of Art and Schlitz, Brewing Art and this one on the Brewery Books website. Hard not having a shred of pride in the fact that Milwaukee’s the only city in the land that can claim this kind of brew history.